Images from Palestinian 2018-2019 School Books. The Institute for Monitoring Peace and Cultural Tolerance in School Education (IMPACT-se) a research institute based at the Hebrew University that analyzes schoolbooks and curricula within the prism of UNESCO-defined standards on peace and tolerance, has released a report evaluating new Palestinian school curriculum (for the West Bank, Gaza and East Jerusalem) to be taught in the upcoming academic year, as researched in recent months. This report includes selected material from the Palestinian new school curriculum (for the West Bank, Gaza and East Jerusalem) to be taught in the upcoming academic year, as researched by IMPACT-se in recent months. The report includes selected examples from second semester textbooks for grades 1–11, originally published for the academic calendar year, 2017–18; and examples from grade 12 to be taught for the first time in the current academic year (2018–19). The new curriculum was implemented in stages, starting with a new set of textbooks for grades 1–4 for the academic year 2016–17, with grades 5–11 added the following year, and grade 12 finally available for 2018-19. This is the first full restructuring of the Palestinian curriculum since 2000, following the Oslo Accords. Before then, children in the West Bank and East Jerusalem were taught the Jordanian curriculum while students in Gaza used Egyptian textbooks. The Palestinians now have a common radical voice for a curriculum accommodating the full spectrum of extreme nationalist and Islamist ideologies in both Gaza and the West Bank. The need, expressed across the curriculum for continuous struggle and martyrdom —using terminology like revolution, uprising, ribat and jihad. The severe demonization of Israel, almost always referred to as the "Zionist Occupation" which includes anti-Semitic motifs. 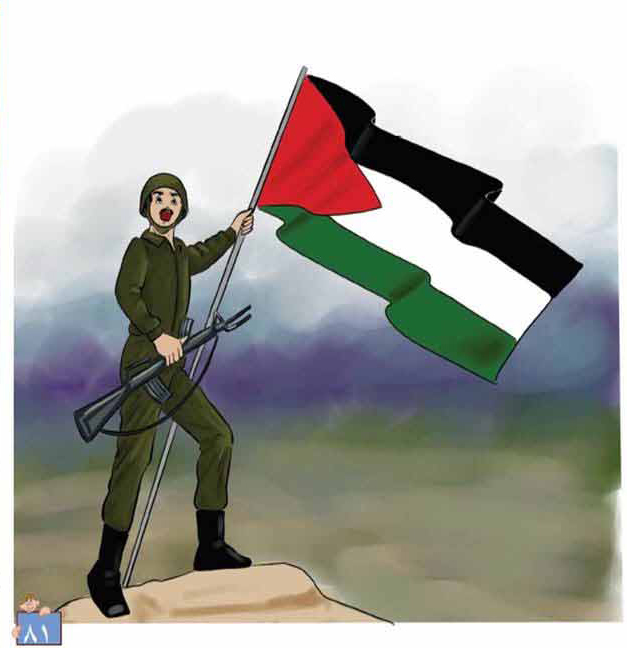 Themes of heroism and martyrdom in a sophisticated program to encourage Palestinian boys and girls to engage in clashes with Israelis. Focus on a massive "return" into Israel proper, with a detailed example of moving the Gazan population into the Israeli south. A comprehensive strategy of revolution modeled after Saladin's victory over the Crusades. Similar models of "phased" struggles and conquests are also presented including various twentieth century liberation movements and the early battles of Islam. The effort to gain international support. Says IMPACT-se CEO Marcus Sheff, “Palestinian Authority elites are now teaching Palestinian children that there can be no compromise: The conflict will remain alive and violent until such time as a new Arab or Muslim coalition emerges and removes all things Israel and Israeli from the landscape. Once the liberation war ends in victory, a stage of cleansing all ‘colonial cultural remnants’ will be unleashed. Looking through the lens of IMPACT-se's international standards of peace and tolerance in school education (see Methodology, below), we noted some improvement concerning UNBIASED INFORMATION. The curriculum, for the first time introduces certain radical aspects of Palestinian history, including terror attacks and Arab rejection of the 1947 UN partition plan. It may be overly optimistic to believe this could lead to a new direction in thinking since, realistically, it also buttresses the radical tone of the curriculum. The curriculum's focus on history is often political, with much attention given to radical and Islamist leadership, conveying a sense of unanimity, while typically ignoring Arab-Jewish cooperation or Arab-Palestinian internecine violence. Regarding SOUND PROSPERITY and COOPERATION, economic relations with Israel, while subverting its existence, are paradoxically encouraged. An interesting exercise promotes economic cooperation with Israeli Arabs—considered "Palestinians of Northern Palestine"—while struggling with the evil "Zionist Occupation" (the name most often used to describe Israel in the curriculum). With respect to GENDER, the curriculum sees matyrdom of girls as a measure of equality. The remaining standards are mostly ignored. There is virtually NO RESPECT for the Israeli/Jewish Other, his or her culture, achievements, values or way of life. No Israeli INDIVIDUAL is presented as familiar, loved or appreciated. HATE stands at the center of the curriculum. In a place where the subject of peace has been paramount for so long, with the exception of some generalized allusions to the benefits of PEACEMAKING, it would be an understatement to say that this standard is lacking. The new textbooks examined in this report indoctrinate for death and martyrdom. Jews and Israelis are portrayed as quintessentially evil, amid calls for jihad and martyrdom by Palestinian children. Islamic education textbooks include stories of martyrs from early Islamic wars. 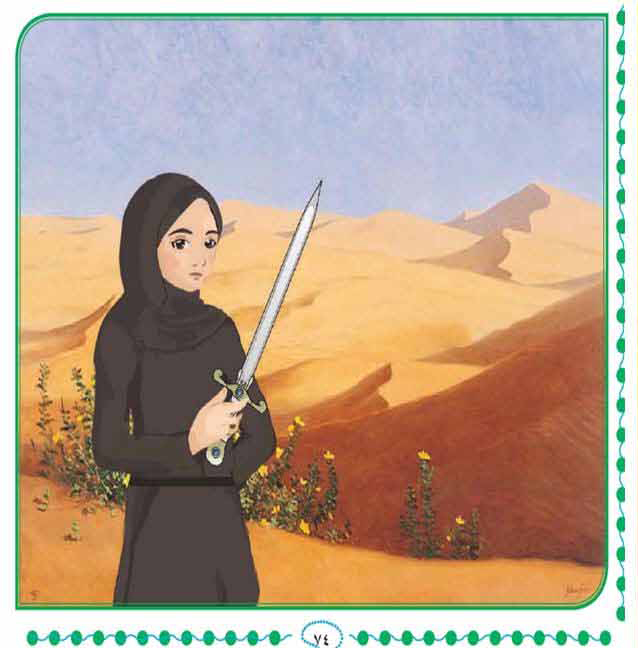 The image of a girl with a long dagger is a disturbing reminder of the 2015–16 Knife Intifada, when children were encouraged to use knives and scissors to attack Israelis. The curriculum prominently features an array of perceived crimes by Israel including violent death, hurting and imprisoning children and the existence of the security barrier. Our research has found numerous examples of barely hidden indoctrination through messaging in subjects including science and math. In the pictures below students study about their hormones in biology by describing a clash with the Israeli army and their body's pituitary gland functions. The importance of the human spine is taught in a science textbook by presenting a case of a boy with a serious spine injury who was severely injured by a suspicious object left as a result of the "Zionist aggression against Gaza". In geology, human factors influencing land and buildings is taught using an exercise blaming Israel for trying to destroy the Al-Aqsa Mosque and Muslim holy places due to excavations. There is no positive concept of Israel as the Other. An exception is a chapter on the peace process and creation of the Palestinian National Authority. In fact, Israel is almost never referred to by its name. The common attribute of Israel is the "Zionist Occupation" or some variation. This is true when the text specifically refers to pre-1967 Israel. References to the partition plan of November 29, 1947, mention a Jewish and an Arab state, but grudgingly and under protest. The partition plan resolution openly stipulating the establishment of both an Arab and a Jewish state is referred to in the new grade 12 history textbook. This is then followed by a mock trial of the United Nations for its role in the "disaster." Anti-Semitism is more prevalent than before in the new second semester textbooks for grades 5–11 (2017–18) and first semester grade 12 (2018–19) textbooks. The texts use the words “Jews” and "Zionist Jews" interchangeably, so there no longer appears to be a distinction between Israelis (Zionists) and Jews in general. Israel and the Jews are referred to as "enemies of Islam," and are blamed for poisoning the Prophet Muhammad, (which mainstream Islam has [mostly] rejected). Encouraging girls and boys to sacrifice their lives in the name of religion appears to be a central goal of this curriculum. The new textbooks for children and early teens provide dramatic stories of martyrdom and suffering from the early Islamic wars, followed by an implicit call to die for the cause. One example shows the crucifixion of an Islamic warrior, immediately followed by an assignment to tell the story of a martyr from the child's hometown, "who rose in defense of his religion, and his homeland, Palestine." The new curriculum dramatically emphasizes the theme of Nakba-Return and celebrates actions like those of Dalal Mughrabi, the chief architect of the1978 Coastal Road massacre. Particularly illuminating is a plan of resettling the Gazan population in territories currently in Israel proper. The solution to the problem of overcrowding in the Gaza Strip lies primarily in the return of the displaced population to their homes of which they are still holding their keys in Beersheba, Iraq al-Manshiyya, Falluja, Webna, and other cities, villages, towns and Bedouin homes, and their return to the cultivation of their lands, for which they still keep their registration certificates in the plains of Al-Masmiyya, Salamah, Aqar, Qatra, Khulda and others, thus solving their housing and food problems. Social Studies, Vol. 2, Grade 9, 2017, p. 68. The theme of Nakba-Return is coupled with harrowing descriptions of crimes Israel is accused of perpetrating during the 1948 War, including genocide and ethnic cleansing. The Battle of Tantura is clearly described as a massacre. The historical background of this particular battle and its aftermath is not provided—nor are the many debates among historians or any context on the war itself. Rather, the event is falsely presented as a consensus view of all scholars. The new textbooks provide more insight into the strategic thinking of Palestinian leadership. The difference in worldviews between the PA and Hamas appears to have narrowed substantially in the new curriculum. The specific discussion in one of the textbooks about moving a large population from the Gaza Strip to Israel was probably written in 2016 or early 2017. Yet it seems prescient to the 2018 Israel-Gaza clashes, called: the "Great March of Return" by Hamas organizers. The Mufti of Palestine during the British Mandate, Haj Amin Al-Husseini, is represented positively in the newly examined textbooks. In the curriculum's depiction of history, there is no mention of moderates or peace-seeking figures among Palestinian Arabs in the textbooks we examined. In contrast, airplane hijackings are admired as part of the Palestinian revolutionary heritage, as are other attacks such as the Al-Aqsa Intifada. One does find a measure of cautiousness. While the destruction of Israel remains a clear strategic goal for the authors of the PA curriculum, older students are reminded to be patient and to avoid actions that might precipitate a full-fledged war. Another sign of cautiousness within this long war is a new definition for the term ribat. 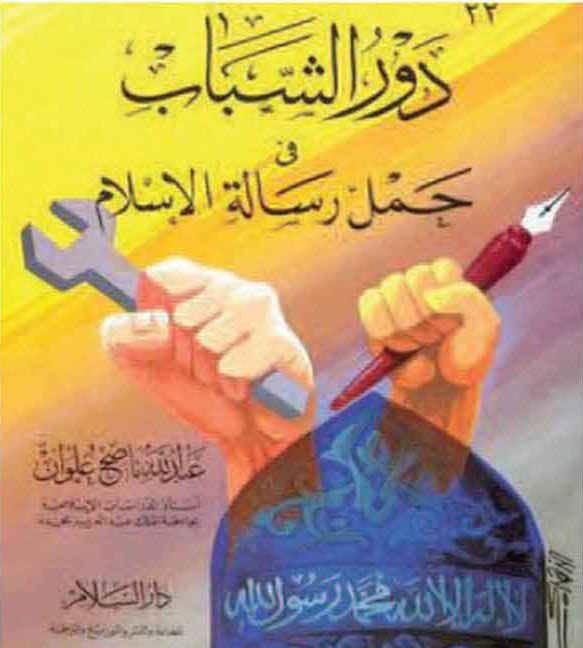 This curriculum considers the term a spiritual preparation to jihad, which remains the central concept. The Algerian War and the Arab Spring uprisings can be seen as warnings to Palestinians as the price to pay if they confront Israel head on. So the question of how to go about a long term revolution is debated in the texts. It appears that that the Algerian revolution, once a model for Palestinians, has been replaced by the Saladin model. A long war with many martyrs to provide content for broadcast media is a requirement, as one textbook's analysis of the First Intifada clearly demonstrates. But victory will be achieved only when a strong Arab or Muslim leader succeeds in creating a powerful and united country, as can be deduced from the curriculum's analysis of Saladin's strategy. The discourse assumes that terror is legitimate in the case of liberation movements, internationally and religiously. Any doubts revolve around the effective mobilization of the masses, to which this new curriculum attributes much importance. The liberation of Palestine is described as violent. One poem speaks about "sacrificing blood" to remove the Israeli enemy from the land by "eliminating the usurper" and to "annihilate the remnants of the foreigners." The curriculum's role is to educate students for victory. A motto in a new history textbook explains it all: "The road to Palestine is not far, not near; its length is that of the revolution." Arabic, Vol. 2, Grade 5, 2018. Arabic, Vol. 1, Grade 5, 2017. Arabic, Vol. 2, Grade 6, 2017. Arabic, Vol. 1, Grade 7, 2018. Arabic, Vol. 2, Grade 7, 2017. Arabic, Vol. 2, Grade 8, 2017. Arabic, Vol. 2, Grade 9, 2017. Arabic, Vol. 1, Grade 10, 2018. Arabic, Vol. 2, Grade 10, 2017. Arabic (Academic Path), Vol. 2, Grade 10, 2017. Arabic Language (1): Reading, Grammar, Presentations and Expression, Vol. 2, Grade 11, 2017. Arabic (2): Literature and Rhetoric (Literary and Shar'i Branches), Vol. 2 Grade 12, 2018.
Business Entrepreneurship (Technology Branch), Grade 12, 2018. Chemistry, Vol. 2, Grade 11, 2017. Communications and Electronics (Technology Branch), Grade 12, 2018. Geography and Modern History of Palestine, Vol. 1, Grade 10, 2018. Geography and Modern History of Palestine, Vol. 2, Grade 10, 2017. Geographic Studies, Vol. 2, Grade 11, 2017. Geographic Studies, Grade 12, 2018. Historical Studies, Vol. 2, Grade 11, 2017. Historical Studies, Grade 12, 2018. Islamic Education, Vol. 2, Grade 1, 2017. Islamic Education, Vol. 2, Grade 5, 2017. Islamic Education, Vol. 2, Grade 6, 2017. Islamic Education, Vol. 2, Grade 7, 2017. Islamic Education, Vol. 2, Grade 8, 2017. Islamic Education, Vol. 2, Grade 9, 2017. Islamic Education, Vol. 2, Grade 10, 2017. Islamic Education, Vol. 2, Grade 11, 2017. Islamic Education, Grade 12, 2018. Life Sciences (Scientific and Agricultural), Grade 12, 2018. Mathematics, Vol. 2, Grade 5, 2017. Mathematics, Vol. 2, Grade 6, 2017. Mathematics, Vol. 2, Grade 7, 2017. Mathematics, Vol. 2, Grade 8, 2017. Mathematics, Vol. 2, Grade 9, 2017. Mathematics, Vol. 2, Grade 10, 2017. Mathematics (Science and Industrial), Vol. 2, Grade 11, 2017. Mathematics (Literature and Shar'i), Grade 12, 2018. Management and Economics, Vol. 2, Grade 11, 2017. Our Beautiful Language, Vol. 2, Grade 1, 2017. Science and Life, Vol. 2, Grade 5, 2017. Science and Life, Vol. 2, Grade 6, 2017. Science and Life, Vol. 2, Grade 7, 2017. Science and Life, Vol. 2, Grade 8, 2017. Scientific Education, Grade 12, 2018. Social Studies, Vol. 2, Grade 5, 2017. Social Studies, Vol. 2, Grade 6, 2017. Social Studies, Vol. 1, Grade 7, 2018. Social Studies, Vol. 2, Grade 7, 2017. Social Studies, Vol. 2, Grade 8, 2017. Social Studies, Vol. 2, Grade 9, 2017. Technology (Scientific and Industrial), Grade 12, 2018. As defined in the Declaration of Principles on Tolerance Proclaimed and signed by Member States of UNESCO on November 16, 1995, Articles 1, 4.2. See also the UN Declaration on the Promotion among Youth of the Ideals of Peace, Mutual Respect and Understanding Between Peoples (1965), Principles I, III. Universal Declaration of Human Rights (1948): Education shall be directed to the full development of human personality and to the strengthening of respect for human rights and fundamental freedoms. It shall promote understanding, tolerance and friendship among all nations, racial and religious groups and shall further the activities of the United Nations for the maintenance of peace. The goal of education for peace is the development of universally recognized values in an individual, regardless of different socio-cultural contexts. See Ibid., Article 6. See also, on exchanges between youth, the UN Declaration on the Promotion among Youth of the Ideals of Peace, Mutual Respect and Understanding between Peoples (1965), Principles IV, V.
 Based on Ibid., Articles III.6, IV.7 and VII.39; and on the Integrated Framework for Action on Education for Peace, Human Rights and Democracy, approved by the General Conference of UNESCO at its twenty-eighth session, Paris, November 1995, Article 18.2. Based on the Integrated Framework for Action on Education for Peace, Human Rights and Democracy, approved by the General Conference of UNESCO at its twenty-eighth session, Paris, November 1995, Article 9; and on the Declaration of Principles on Tolerance proclaimed and signed by member states of UNESCO on November 16, 1995, Article 5. Based on UNESCO recommendation concerning education for international understanding, cooperation and peace and education relating to human rights and fundamental freedoms, adopted by the General Conference at its eighteenth session, Paris, November 19, 1974, Article V.14. The preamble to the Declaration of Principles on Tolerance proclaimed and signed by member states of UNESCO on November 16, 1995, notes the Convention on the Elimination of Any Form of Discrimination against Women and emphasizes respect for human rights and fundamental freedoms for all, without distinction as to gender. Based on UNESCO recommendation concerning education for international understanding, cooperation and peace and education relating to human rights and fundamental freedoms, adopted by the General Conference at its eighteenth session, Paris, November 19, 1974, Articles III.6, and IV.7. On the imperative for developing “systematic and rational tolerance teaching methods that will address the cultural, social, economic, political and religious sources of intolerance,” see the Declaration of Principles on Tolerance proclaimed and signed by member states of UNESCO on November 16, 1995, Article 4.2. On education for international cooperation, see also the UN Declaration on the Promotion among Youth of the Ideals of Peace, Mutual Respect and Understanding between Peoples (1965), Principle II.